SC2SEA.com - Starcraft 2 SEA eSports Community Site > Site Portal Forums > Latest News > [SEA News] ANZ Proleague announced!
" The ANZ StarCraft II esports community is a close-knit and passionate group. It has a colourful history with friendships forged at Australian Cyber League LAN events dating back to 2012. Many of the original community faces have grown to become pillars of the StarCraft II community. Jared 'PiG' Krensel has grown over the years as an accomplished professional player to one of the most renowned StarCraft II casters and content creators across the globe. At the same time, Helen 'Zepph' Browitt and Leigh 'Maynarde' Mandalov have been front and centre as the faces and voices that guided viewers on our journey through the action. The veteran Iaguz, who competed in the very first ACS Gold Coast event, still stands out today as one of the most accomplished players in the region with many appearances on the international stage. mOOnGLaDe, KingKong, tgun, MaFia. The list of names is endless. These personalities paved the way for more contenders to join the fray. Sean 'Probe' Kempen, Sheldon 'Seither' Barrow, and up-and-comers such as Cameron 'Yours' Foster now carry the torch for ANZ StarCraft II. With that said, we are proud to continue to build on the ANZ StarCraft II legacy by gathering this rich pool of talent for the very first ANZ Proleague. With a $3,500.00 USD prize pool on the line, five teams will compete over a 4-week round-robin, commencing at 7:00 pm AEDT (12:00 am PST) November 21, 2017. At the conclusion of week 4, the top two teams will head to the grand finals, which will be broadcast at 7:00 pm AEDT (12:00 am) December 19, 2017. " A stalwart team in ANZ, SYF has been around for quite some time and likely have the strongest lineup in the region. Having recently gone through some roster changes, enjoying a monopoly on New Zealand talent, and seeing fantastic results from all of their players offline & online, SYF is a serious contender to completely steamroll the league. SC2Online's resident team of top-end players, their roster boasts godly players like MaSa, Cham, Has and more. Though untested and as of yet, incomplete, their ANZ roster led by strong Indian player 'Demi' surely has the guidance and resources available to put up a solid fight in the league. Only time and more additions to the roster will tell. Filled with seasoned & skilled players from around the world, as well as consistently pulling solid results in other teamleagues, 1FPro would be another serious contender for this league, however like OSC Elite, their ANZ roster lacks in comparison to their International roster. Either some roster additions or a few sick carries from the duo of MeomaikA and Yours will be needed to get them across the line. 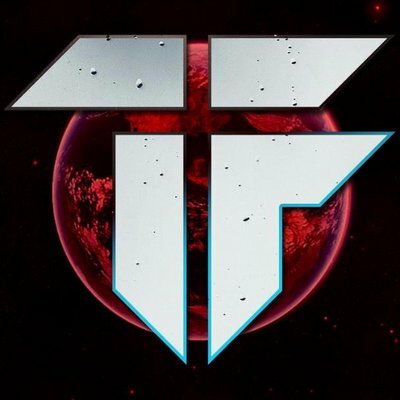 Legacy's entry into this arena is no surprise, given their reputation as one of THE biggest esports organisations in the region, and their impressive partnership with the Adelaide Crows recently, surely they're poised to deliver nothing short of a stomping, right? Well, unless Probe can play every match alone (which I'm sure we're all aware that he could) and win the league, things don't look very good right now. All they need to do is fill out their roster, and collect their chunk of the $3,500USD when they pass go. 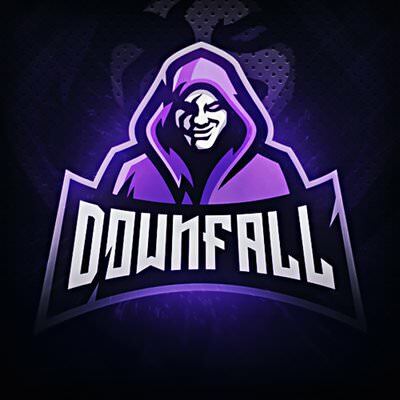 Downfall is the newest team on this list to delve into StarCraft:II, and would appear to also have the biggest question mark hanging over them in terms of lineup. Not only are they untested as a unit, but their players also have a lot to prove. Pezz was a force to be reckoned with back in the day, Ice & Luneth are tournament regulars who need to be regular winners in this league, and VOJ hasn't been seen doing much in some time. Anything can happen though, and if any team's going to pull out something crazy, it's a team full of Protoss players. December 19th :: GRAND FINAL! I am personally very keen to take part in this teamleague, and looking forward to following the league as it goes on. Everyone's eager to prove themselves, and the potential for sick matches is aplenty. You can follow all the action when matches go live @ Blizzard ANZ's Twitch, you can also follow Blizzard ANZ for updates here! Last edited by syfRize; Fri, 17th-Nov-2017 at 7:21 PM. Great to see a team league coming back to SEA! Will be looking forward to seeing the completed rosters. Didn't realise there were this many teams around here anymore. I've been informed that the player eligibility will encompass the WCS ANZ definition of 'ANZ', meaning SEA players join in! Last edited by syfRize; Fri, 17th-Nov-2017 at 7:17 PM. Wait our team didnt get announced? Thought i remembered entering this, is it too late to enter? Ohh, so rosters are basically set then. Should be some good games.